First of all I want to thank you all your support and comments in this new website! Hundreds of visits every day! Is so fantastic! If you don’t know how to crochet, you can buy in in my store! International deliveries included. 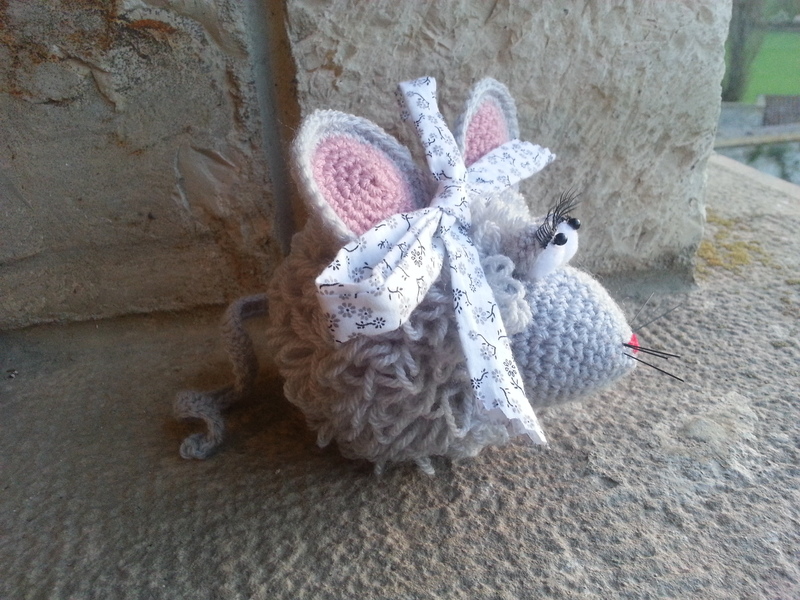 If you want to crochet this funny amigurumi rat just continue reading! 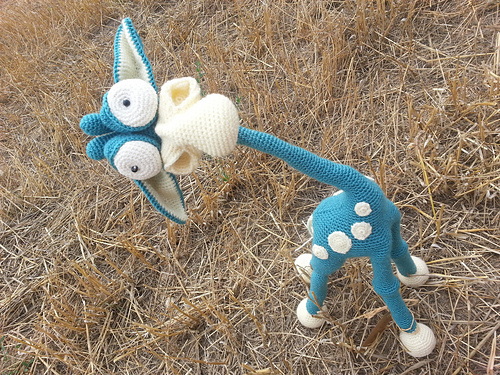 I used loop stitch to do the body. You can find a fine video tutorial by cliking here. Fill the snout with cotton and sew it to the body. Sew it to the body. I use little balls of synthetic cotton. Do one doble crochet in each sc and help the yarn to twist with your fingers. I hope you have fun with this pattern. 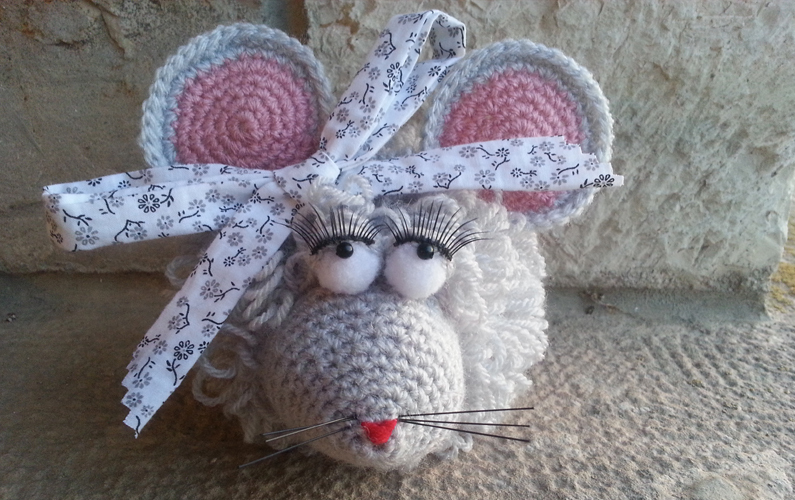 I think she is the cutest Amigurumi Mouse of the world. Don’t you? For the eyelashes I used the human orginal ones. Just take one synthetic eyelash and cut it in two parts. For the mustache I used brush hairs. For the lace I used a scrap of clothing. Have fun! If you have any doubt following the pattern, please, contact me or let a message! thank you!